I couldn’t be a Toys R Us kid. There are few songs that burrow into your subconscious and set up camp more than the Toys R Us theme (maybe the jingle from an ice cream truck or “Bodak Yellow,” but that’s about it). So, for many people the news this week that Toys R Us is filing for bankruptcy and may start closing stores right after the holidays is sad, as memories of neon-pink displays of the latest action figures go the way of KayBee Toys, Radio Shack and Sizzler. The toy retailer just can’t compete with a generation of kids who prefer tablets to toys. However, the news that Toys R Us will likely be closing some stores and may go out of business is actually a good thing for black America and black kids in general. Toys R Us, for all its nostalgic glitter, has been a horrific bombardment of white supremacy and exclusion for black children, and the sooner folks take their shopping online and to other outlets, the better off and healthier we’ll all be. I know, everyone’s head is exploding right now: “Toys R Us is just a kids’ toy store; why are you defiling my memories with all of this blackity blackness?” I understand the sentiment; I grew up begging my parents to take me to Toys R Us, bought my first Sega Genesis games there as a teenager, worked in the Toys R Us stockroom in graduate school (it was like a giant game of Tetris), and occasionally I’d buy collectibles there as an adult. Toys, and Toys R Us in general, play a huge role molding our sense of self. Unlike your house or school or even the playground, a toy store is the first place you see as a kid that is 100 percent about you as an American consumer in bright, shiny colors. The catch is, those colors are rarely yours. Toys R Us is notoriously horrible when it comes to product diversity and displays, and always has been. Whether you were a black kid of the 1980s or ’90s or are one today, walking through the aisles of Toys R Us is a loud, screaming reminder that the adventures of wizards, intergalactic alien hunters and superheroes are for white kids, not for you. As the largest toy-centric retailer in America, Toys R U has a great deal of influence on what kinds of toys are put on the shelves, and the store usually has not pushed for diversity in products or in placement throughout its time of dominance. 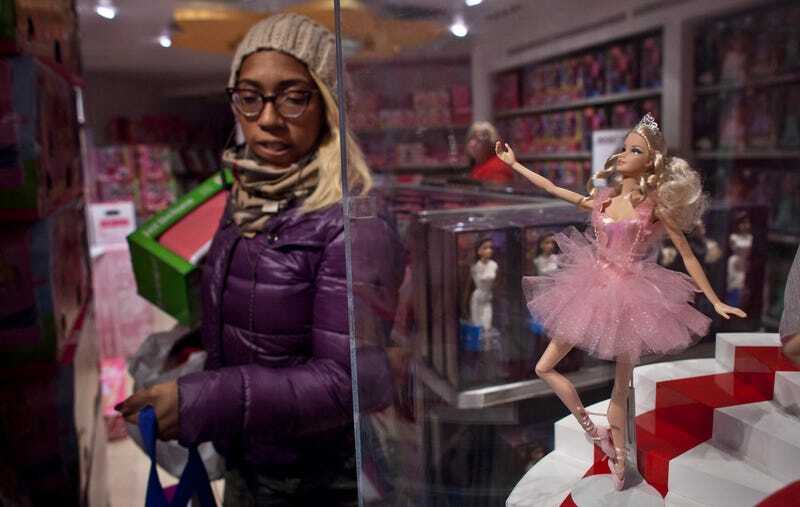 While the retailer’s actions may not be as blatant as the black-doll test of the 1960s, watching a little girl walk through an avalanche of dolls in any Toys R Us in Anywhere USA, desperately trying to find a doll that looks like her, is a painful experience. Finding a black male action figure (that’s not the Avengers’ Falcon) in your average Toys R Us is about as likely as finding a Colin Kaepernick jersey at a Donald Trump rally. Those toy aisles are a painful walk through the first stages of cultural white supremacy, and Toys R Us has been a big part of that problem. Black parents, aunts, uncles, funcles, stepdads and baby daddies have slowly been moving online for years to find black toys, dolls and books so that children can actually see and play with toys that reflect their experiences. More important, check out any black mommy blog and you’ll see that local retailers like Target, Kohl’s and even—gasp—Walmart tend to do a much better job of stocking the toy aisles in ways that reflect the demographics of their customer base. Mind you, those stores aren’t perfect, by any stretch, and have a long way to go, but the fact that Target got so comfortable with displaying black dolls that white women started complaining is a sign that things are changing in the right direction. While the slow, plodding death of another great American retail chain will certainly cost jobs and bury some memories, the end of that unintentional funhouse of cultural exclusion masquerading as a kids’ store will only help black parents who want to double down on products that lift kids’ self-esteem and creativity. You can find yellow-faced Ninjago figures anywhere, but I promise you’ll have a better chance of finding Black Panther action figures at Target than at Toys R Us. We have to grow up, even if we were Toys R Us kids, and see all those exclusionary displays for what they did. From bikes to planes to video games, we hardly saw ourselves as kids. So if progress means that Geoffrey the giraffe has to retire to Madagascar, so be it; we can do better than creating another generation of Toys R Us kids.